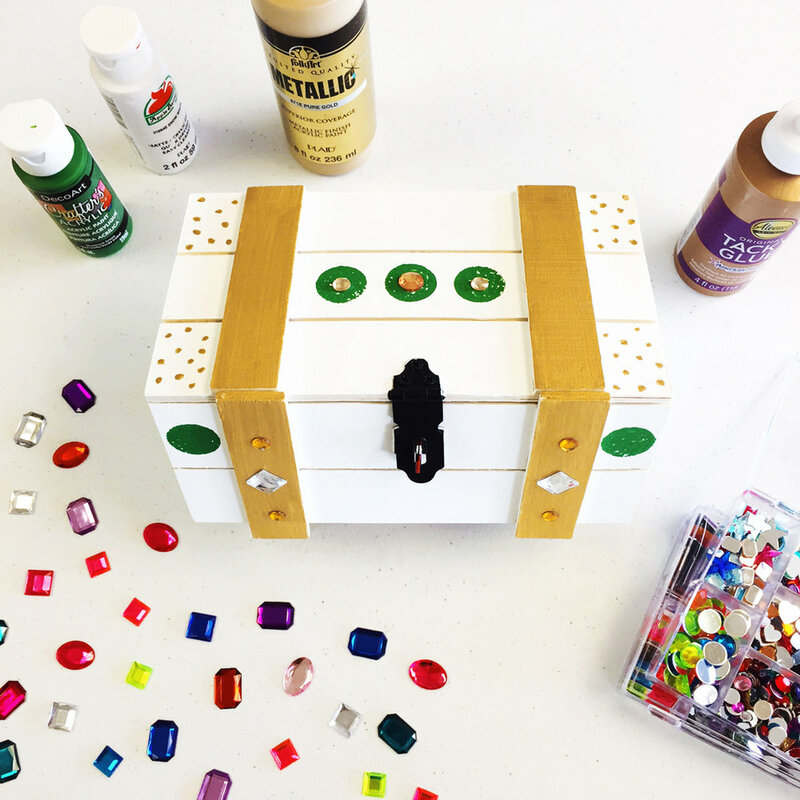 Paint your own wooden treasure chest and bedazzle it with gems! Want a place to keep your treasures safe? Use our studio paints to decorate your own wooden treasure chest! After painting and decorating, browse through our studio collection of gems to bedazzle your masterpiece. Drop-in DIY Project hours are listed on our event calendar. No reservations are necessary, drop-in when it works for you! If you have a larger group or just want to make sure there will be room for you, we do accept reservations of any size. Send an email to hello@sunshinecraftco.com or give us a call at 607-821-9700 and we’ll do our best to make it happen! Our DIY projects help you set aside time to be creative and get crafty! A perfect chance to meetup with a friend, have a date night, or a family project time. Each guest selects their own project to work on and makes it uniquely their own. Drop into the studio, browse the available project samples, and we'll get you set up with necessary materials and instructions for what you select! Unwind with our BYOB happy hours after 4pm! Grab a friend or two, a bottle of wine (or your favorite brew), and stop in to get crafty during happy hour. *BYOB Details: During happy hour guests are welcome to bring their own drinks. You must not bring more than forty ounces of beer (approximately 3 bottles), 750 ml of wine (1 bottle), or four ounces of distilled spirits. And, you must be 21!